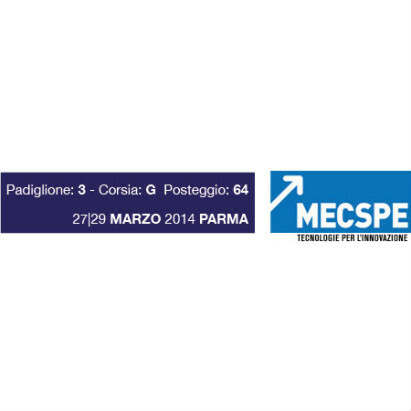 Specialists in industrial mechanics will be meeting in Parma from the 27th to the 29th March for MECSPE 2014. Pieffe Disegni and the Piacenza Mec Group, the regional network of enterprises in the engineering sector, will, of course, be there. With a steady growth over the years, MECSPE has become a leading trade fair for the manufacturing and technical subcontracting industry in Italy. The creative genius of engineers and mechanical designers from Italy is famous and has long been appreciated abroad as well. This is why, despite being established as a national event at which the most important and innovative Italian engineering companies have the opportunity to compare themselves to identify market indications and needs, MECSPE has rapidly evolved into a showcase of international importance; year after year, more and more representatives of foreign companies converge in the area of ​​the Fiera di Parma for the event, to get in touch with the brightest enterprises in engineering industry in Italy. The showcase offered by MECSPE is therefore a double opportunity for Pieffe Disegni: on the one hand, it will a chance to present the range of services offered and the sectors in which the Piacenza-based company has several years of experience to the public; on the other hand, our presence as a leading and proactive member of the Piacenza Mec Group consortium will enable us to present this network of businesses active in the field of industrial design that have chosen to make their expertise available to meet the customer’s needs . 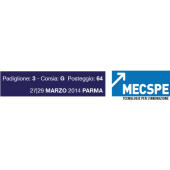 So make a date with Pieffe Disegni and the Piacenza Mec Group is therefore at MECSPE 2014 from Thursday the 27th to Saturday the 29th of March in the area of ​​the Fiera di Parma: Pavilion 3, Lane G, Box 64 is the “address” where you can discover Piacenza’s excellence in mechanical design and manufacturing.